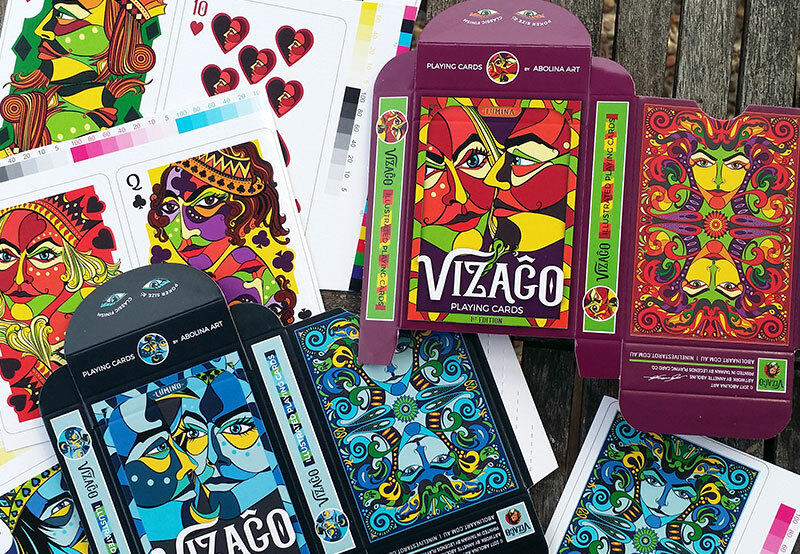 The printing presses are rolling at Legends Playing Card Co. and VIZAĜO Playing Cards are expected to be ready for shipping (from the printing factory) first week in November. 2200 decks are coming off the presses, which makes for an impressive number of colourful playing cards – and the largest number of decks I’ve ever had printed. There has been so much to learn and discover along the way, right down to estimating lead times and figuring out when to do what; a truly exciting journey! While colours on a screen are always going to be slightly different to printed colours, proofing is more about making sure that the translation between the two formats works well, and to double-check for any errors that may have slipped through unnoticed. The printing factory suggested switching the background colour on the tuck boxes to a Pantone colour (instead of CMYK) for better printing results. Anything that will produce better results sounds good, so I agreed and supplied the two colours I wanted to use. 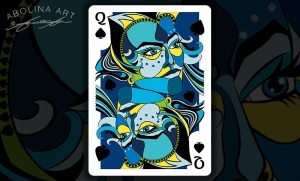 I set up a pre-order page for those of you who want to get your hands on VIZAĜO decks at the special campaign price. The page includes a pricing guide and once I receive details of your order, you will be able to complete payment securely through PayPal. As these decks will be distributed by Gambler’s Warehouse, along with the campaign rewards, pre-ordering will close on the 31st of October. Next PostVIZAĜO Playing Cards have Arrived!